Indian culture and sweets walk parallel. 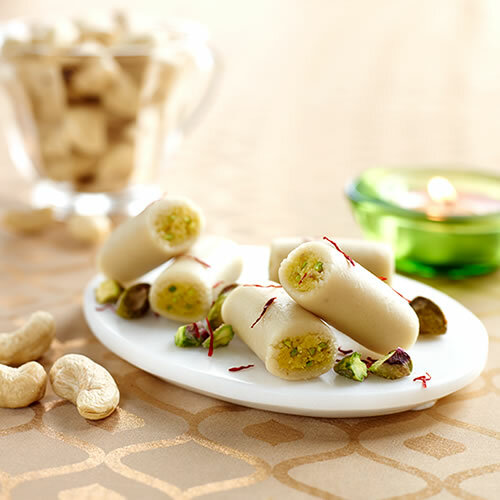 Indian sweets are popular all over the world, as we blend our festivals with unique and beautiful flavours. There is no doubt in saying that India is a country of festivals. And all those festivals have sweets as a common factor. However, you always desire authentic and the highest quality of sweets to gift your loved ones and families. And that is exactly what GiftJaipur does for you in Jaipur. The beauty of our Indian culture is that we have a huge variety of sweets,and there are special sweets dedicated for every occasion. 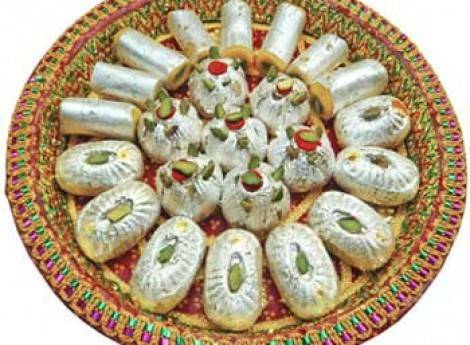 For example, the KajuKatlis, Barfis, and dry fruits are most popular during Diwali while the Laddoos and Gujiyas are more preferred during Holi. 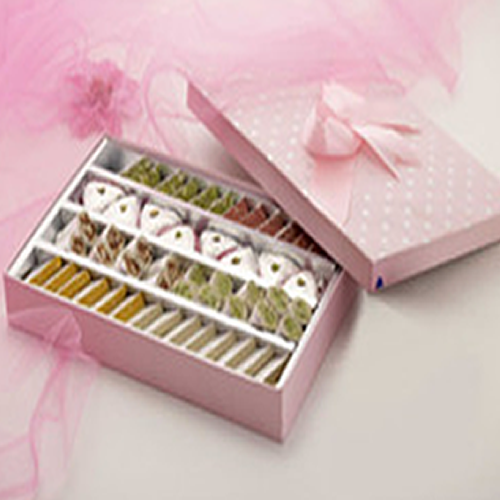 Gift Jaipur recognizes the need for variety and strives to offer a variety of sweets to the people of Jaipur. 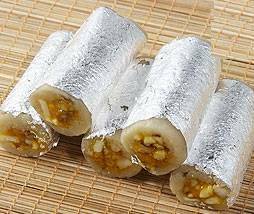 Having a huge network of jaipur sweets shop, GiftJaipur covers all your needs related to sweets.You can choose from ourelaborate list which consists of most of the popular sweets sold in Jaipur. We have contacts with renowned sweet shops which help in offering the sweets of your choice from any corner of Jaipur. 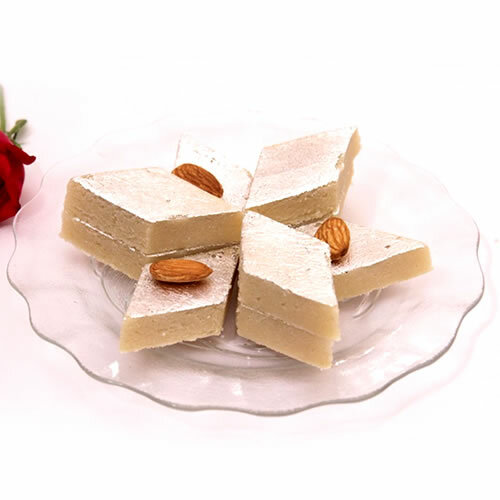 We provide a wide range of variety include Kaju Sweets and Mawa Sweets. Along with that, we also offer multiple combos such as Sweets and Fruits, Sweets and Dry Fruits, Sweets and Flowers, Sweets and Namkeen and much more. There is no way you feel unsatisfied with sweets’ availability here. We have an organized list of sweets that helps you choose your favourites without any hassle. These days’ many health-conscious people and urban crowd prefer sugar-free sweets for personal as well as corporate gifting. 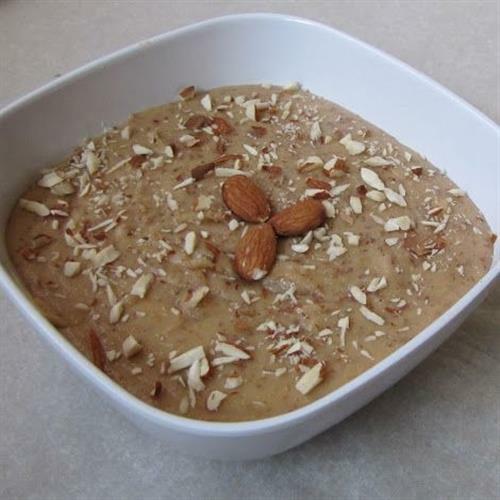 This allows you to devour on delicious sweets without compromising on your fitness. GiftJaipur also takes care of your health with multiple options in sugar free category. We have sugar free soan papdi, Gond Laddo, and other sweets to deliver wherever you need in Jaipur. Though there sweets are made of sugar substitute, there is no compromise in the taste. These sweets taste equally good. We value our customer’s trust and appreciation and aim to offer the best quality sweets to them. From, the customer perspective, it is important to get sweets from a source that is clean and hygienic so that the sweets can be consumed without any worries. GiftJaipurunderstands this concern and tries to be as clean and hygienic as possible with the source of procurement as well as packaging. 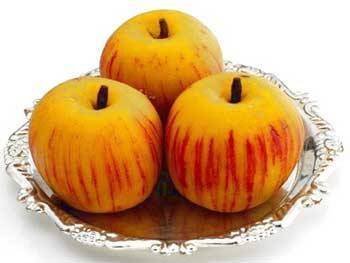 GiftJaipur has been serving with Kanha sweets home delivery in Jaipur for a long time now. Our satisfied regular customers admire our cleanliness, hygiene, and quality that we offer. We take care of quality with each and every order, no matter how big or small that order is. Ordering your sweets via GiftJaipur saves you from blunders and ensures a delicious taste and hygienic sweets. Every bite blends in your mouth and brings a smile to your face. With our quick and easy kanha jaipur online order, it is a matter of seconds for you to send sweets as gifts to your loved ones. Just press a few buttons on our platform to choose your favorites and let us handle the rest. Our prices are affordable and provide a quality that you can’t find anywhere else. The sweets are packed in beautiful packages which make them even more tempting for the receiver. Since most of the time these sweets are for gifting purpose, we make sure they are wrapped in amazing packaging which impresses the receiver at a first glance. The packaging is strong enough so that the sweets are not damaged or spoilt during the transit and the receiver gets the parcel as dispatched by us. Browse your favourite sweets and order now! Want to make an occasion special for someone you love? Check out a huge list of sweets we have right here for you. Place your order with a few clicks and let us deliver sweets in Jaipur for you.